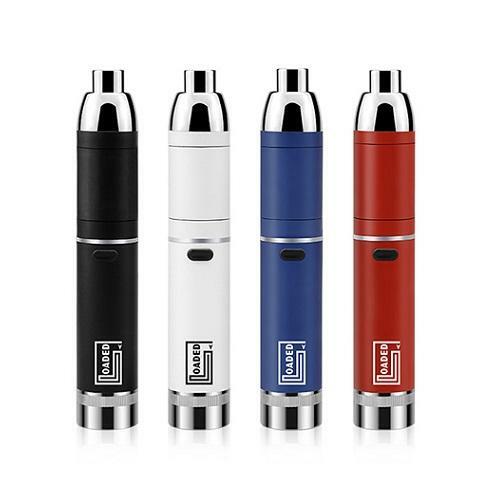 The Loaded Pen Vaporizer is the latest innovation from Yocan Tech, an advanced pen device made for concentrates that takes the design of it's many predecessors and adds on some new and exciting features for an extremely pleasurable and convenient wax vape experience. 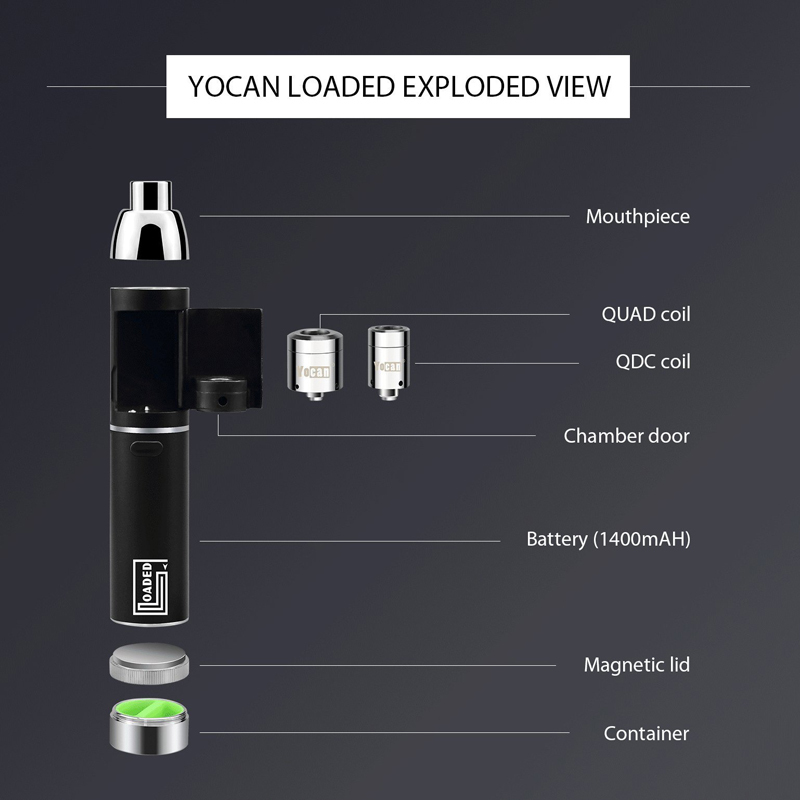 One major improvement, Yocan incorporates an entirely new way to remove, replace and refill your atomizers. 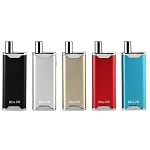 On one side of the atomizer tube there is a hinged hatch cover that swings open, revealing the massive quartz coil, allowing for extremely fast and discreet refills on the go. 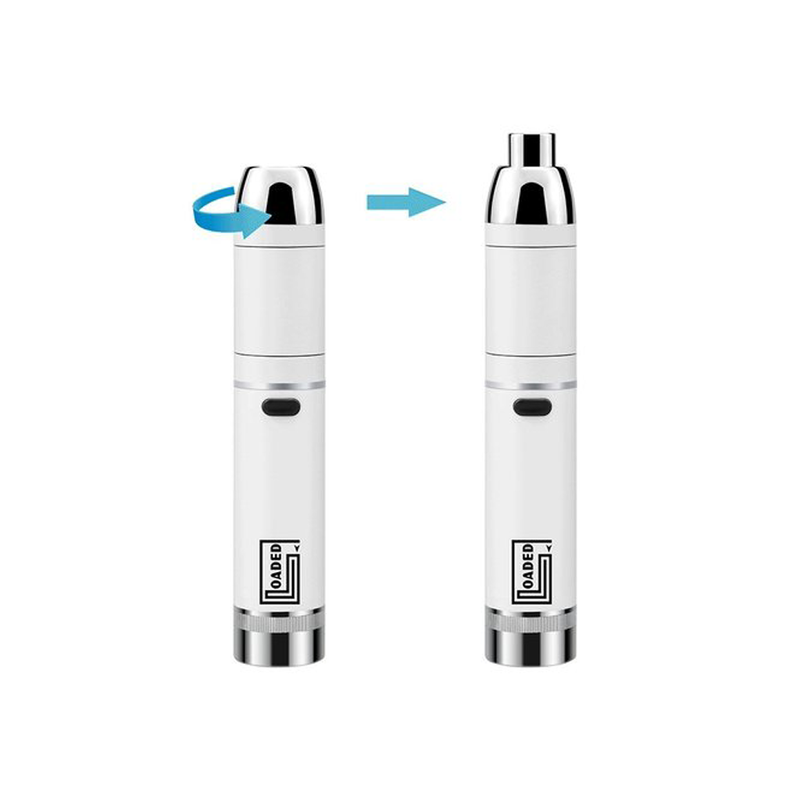 Each of the quartz atomizer heads are also installed now using an ultra convenient magnetic connection. You'll never have to deal with messy, residue-filled threads again. When a coil burns out remove it, drop in a new one and the magnets create an instant, hassle-free connection. 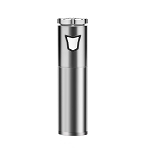 Inside every kit Yocan includes both a Quartz Dual Coil and Quartz Quad Coil ready to go right out of the box. Each sport a similar coil design, premium glass quartz heating rods wrapped with a titanium coil and situated in an all ceramic dish that together create an efficient heating process with unmatched flavor. 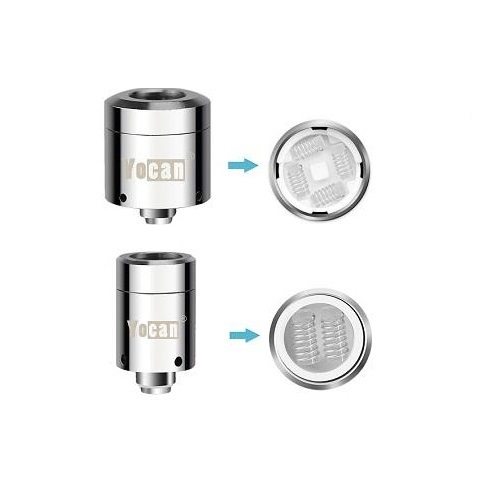 The upgraded pre-installed Quad coil is equipped with two extra rods for quick massive rips at the touch of a button.For when you are working with a smaller amount of material or simply want to keep things a bit more discreet, the Loaded has you covered with a QDC option. 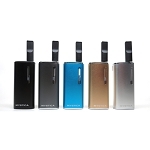 Yocan's Loaded Vaporizer is powered by a strong 1400mAh lithium-ion battery that is controlled with just one button. It can be locked/unlocked by quickly pressing that button five times, followed by a flashing LED light indicator. This LED light will also show you when it is time to recharge, at about 10% power it will flash red three times then turn white. You can continue using it until it reaches a 0% charge where it will then flash red three more times and completely power off. When that time comes connect the included usb charger and in just 2 hours you will be fully charged and ready to go. 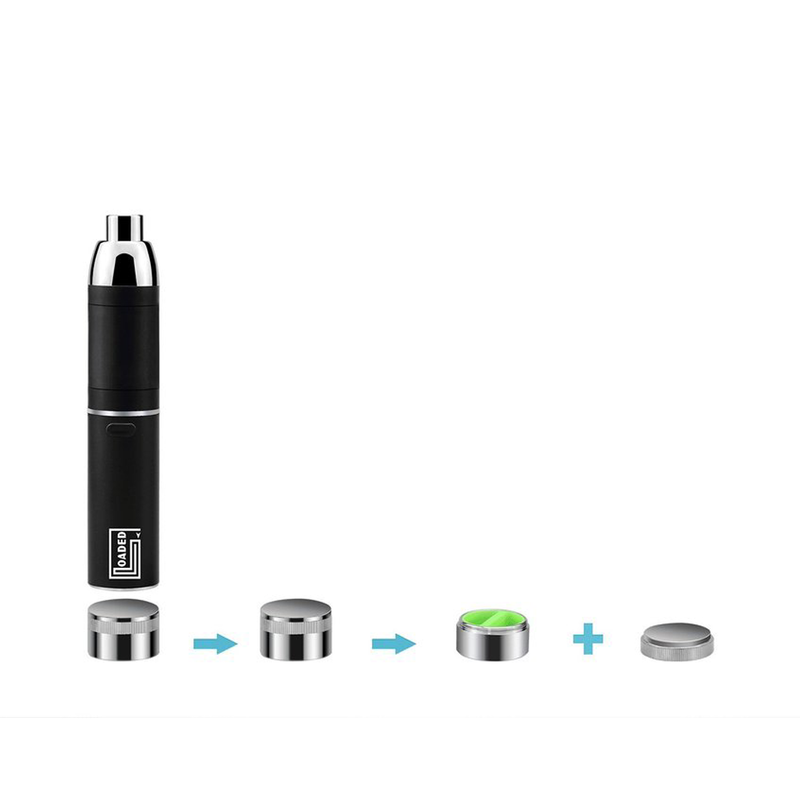 The Loaded Concentrate Vape Pen also comes equipped with a dual chamber silicone storage jar that is built directly into the device.The base of the Loaded's battery twists off, revealing this storage section. Inside you have food grade non-stick silicone that makes the perfect surface for storing a small amount of material to take with you on the go for extremely convenient travel. Unlike previous models, this bonus storage area completely removes from the Loaded and attaches with a strong internal magnet.